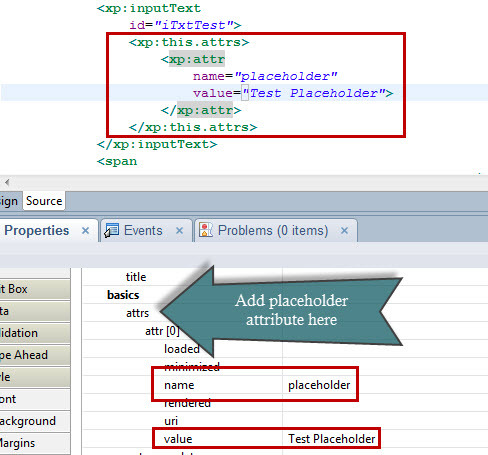 That is because, IE8 and IE9 don’t support the placeholder attribute. But, if you follow the steps below, it should work just fine. Save and close your theme. Save and close your custom control / XPage. 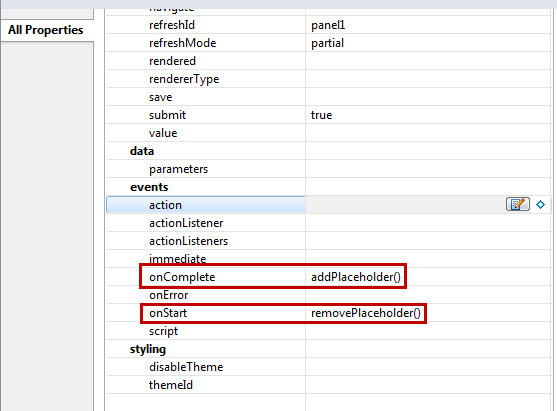 To make the placeholder fix work even during and after a refresh, we need to add “removePlaceholder()” to the onStart event of the event handler and “addPlaceholder” to the onComplete event. Save and close and you are all set. I did some extensive testing and it seems to be working very well. You just need to remember to add “addPlaceholder()” and “removePlaceholder()” to the onComplete, onStart events wherever you use placeholders and do refreshes. If you come across a better solution or you ran into other issues with this placeholder fix and found a solution for it, please do not hesitate to share it with us.